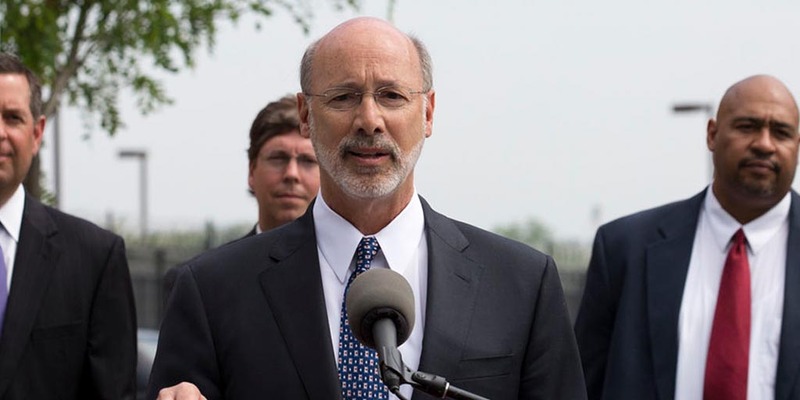 Waynesburg, PA – Today Governor Tom Wolf met privately with Department of Corrections staff at State Correctional Institution Greene to discuss safety concerns amid the recent spate of staff exposure to unknown substances in several of the state’s correctional facilities. Immediately following the meeting, Gov. Tom Wolf and Corrections Secretary John Wetzel announced new protocols being put in place to protect staff, visitors and inmates at Pennsylvania’s 25 state correctional facilities. All facilities have been on lockdown since August. 29. “Pennsylvania’s corrections officers put themselves in harm’s way to make our commonwealth safer, and it is up to us to provide them protection from harm,” Gov. Wolf said. “I met with several of the corrections officers here at SCI Greene today and I want to assure them that their concerns are valid and were heard. Corrections Secretary John Wetzel detailed the new protocols, which are already being phased in and which Wetzel said he hopes will be completed within the next 90 to 100 days. All mail currently in correctional facilities will be returned to the sender. All mail will be sent to a separate address where it will be scanned and processed six days per week. After scanned and processed, mail will be delivered to inmates. Multiple Pennsylvania Department of Corrections facilities are currently utilizing drone detection; those without drone detection will be receiving it. Procedures will reflect specific protocols for when a drone is detected, especially procedures for when a drone is present when inmates are at yard. Body scanners will be purchased centrally and distributed to all Correctional facilities as soon as possible. Each facility will receive two scanners: One for visitors and one for staff. Staff will be doubled in all visit rooms effectively immediately. There will be a 90-day moratorium on photos and on vending while the department develops more strict criteria for protocols on consequences of the introduction and possession of drugs by visitor and/or inmates. The department is beginning the transition to e-books coupled with a bolstered department library system featuring centralized purchasing and an ordering process. The same protocol applies to magazines. A resource account will be created where friends and family can make requests to purchase books to be delivered to inmates. The hotline is for callers to provide any information related to the introduction of drugs or possession of drugs in a state correctional institution by inmates, visitors or staff members. Callers may remain anonymous but if any wish to speak to an investigator, may leave a name and inmate number. Family members, staff and members of the general community are also encouraged to use this PA DOC Drug hotline. “I have confidence that the Department of Corrections, working with state agency partners and law enforcement will determine the cause or causes of the recent sickening of staff and will put in place the necessary protections and procedures to ensure staff safety,” Gov. Wolf said.